I’m filling a special request before I continue with the noodles series. This dish is not widely known among foreigners yet, but it starting to become popular because the ingredients are quite familiar to most palettes and the flavors are just simply irresistible. Khao Mok Gai is also a one-plate dish. 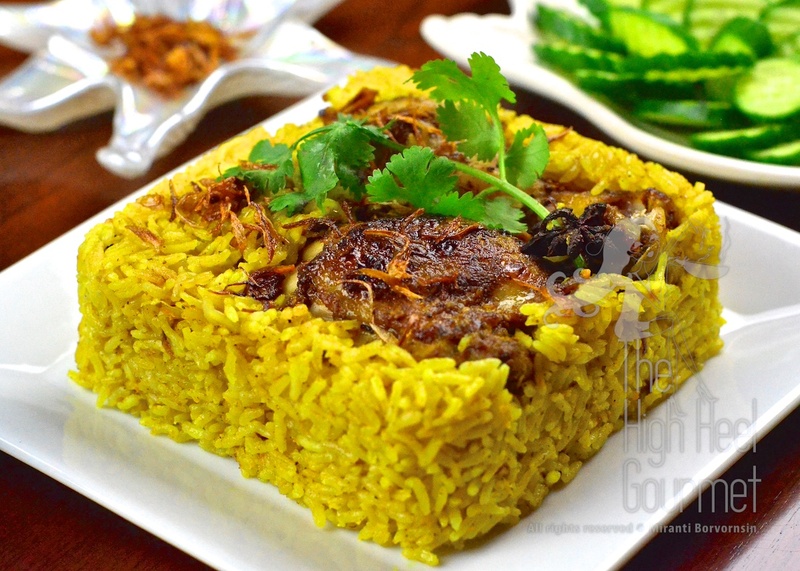 It consists of yellow fragrant rice sprinkled with crispy fried shallots and served with a piece of chicken that seems to be baked (but isn’t). The authentic Thai won’t serve this dish completely by itself, of course. It would be accompanied with cucumber, tomato and the most important part, Nam Jim. The dipping sauce for this dish is very specific. I didn’t write about it in the “Basic Thai Dipping Sauce” post. Even though this looks green, it’s not the same as the “Nam Jim Seafood”. It has mint leaves and ginger, which is different than in the seafood dipping sauce. This dish was called “Khao Buri” or “Khao Bucori” in the old times. That’s how the Thai picked up the word “Biryani”. It originated from the Persian merchants who came into the region to trade and brought their own familiar cooking methods with them. It must have been a long time ago, because the dish was mentioned in a Thai literature classic from the 18th century. If you know how to cook Biryani, you would understand how to cook this dish. 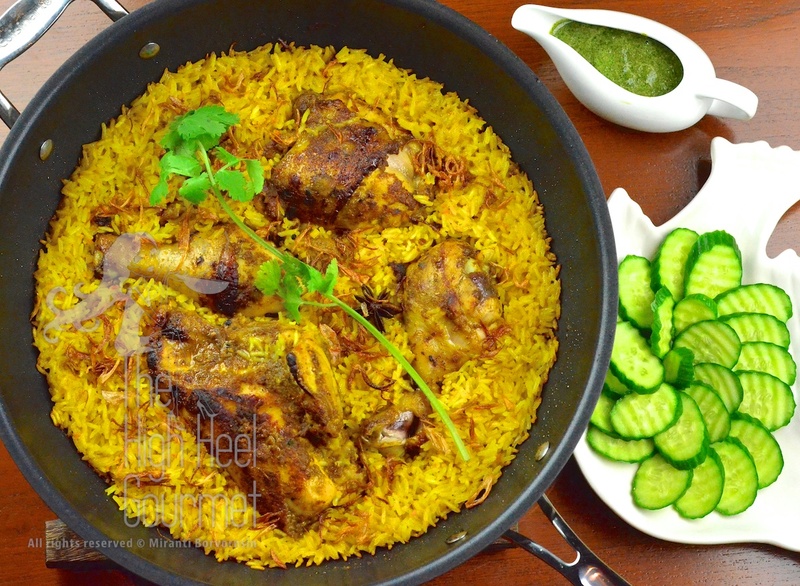 Biryani is a way to prepare rice with a lot of herbs and spices cooked along with the meat, which also has been marinated with spices as well. The flavors become quite intricate from the mixture. 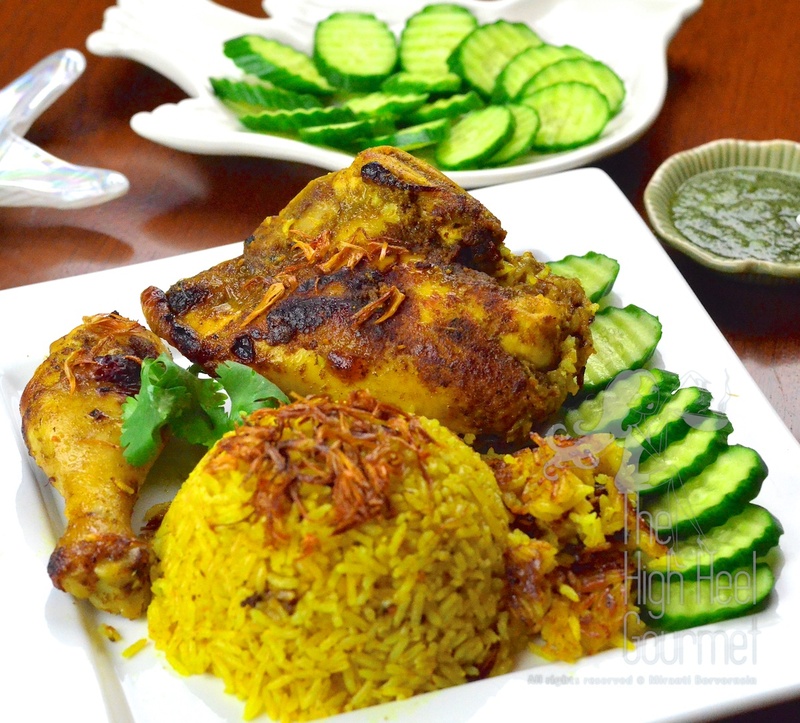 The Thai name Khao(rice) Mok (bury) Gai (chicken) is pretty much self-explanatory, because the way you cook this dish is to bury the chicken with the rice and cook them together. Did I mention that this dish is a Halal dish? Yes, right there in the title. The dish is widely prepared and eaten mostly by the Muslim-Thai, so you can safely guess that there is no such thing as a Khao-Mok-Moo (pork). The recipe I’m giving you is my own, adapted from my family recipe. This is the first time I measured all the ingredients, so you don’t need to be so strict with the amounts. You can adjust them based on your preference. The spice list is quite intimidating, but if you can’t find some of them, just omit them. It will come out all right anyway. I have done every variation possible and all of them taste good. You probably found some recipes for this on the Internet vary in amount and type of spices used. As long as they cook it Biryani style, cooking the chicken and the rice together and not making fried rice and serving it with baked chicken, then I would say they should all be good too. Nope, unlike with authentic Thai recipes, I’m not trashing anyone else’s recipe yet. Some would add raisins, cashews, etc. All fine by me. I even have the super easy cheat recipe down below. The one that involves buying an envelope of the pre-mixed spices, already-fried shallots, chicken, a cup of yogurt and a cup of coconut milk, then you will be good to go (assuming that you have rice in your cupboard at all times, like a good Asian). Even at that, you will have a wonderful Khao-Mok-Gai. 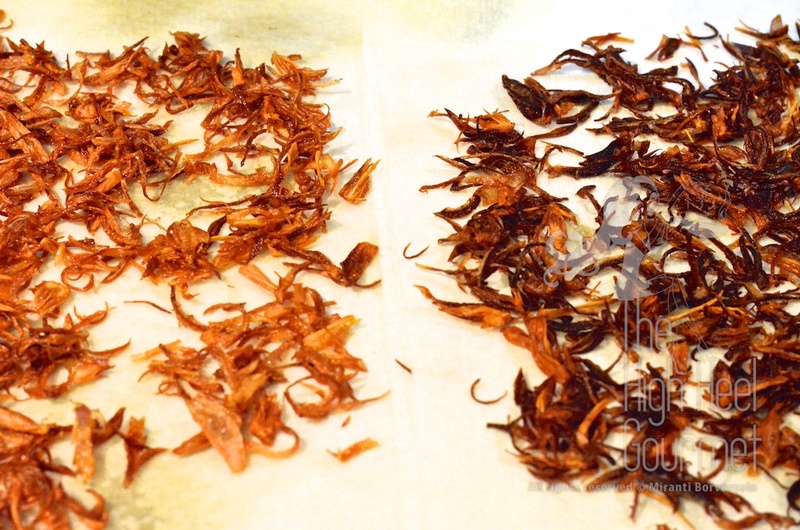 1) Roast the dried spices over medium-low heat until they release their aromas. 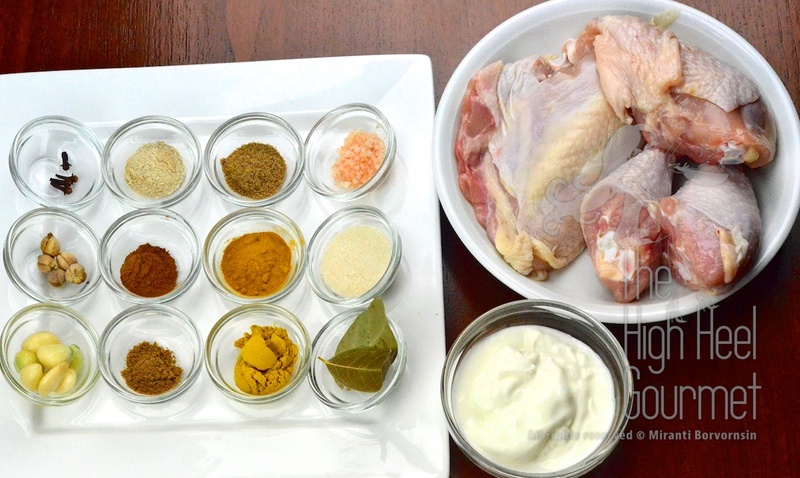 2) Grind all the spices, either separate or together with the yogurt. I grind them together in the Vitamix but if you don’t have a powerful blender, just buy a cheap $10 coffee grinder and grind all the dry spices together before you mix them into the yogurt. 3) Using a plastic bag or large glass container, dip the chicken pieces in the yogurt mixture, put them in the bag and leave them in the fridge over night. This is REQUIRED—you can’t skip it. 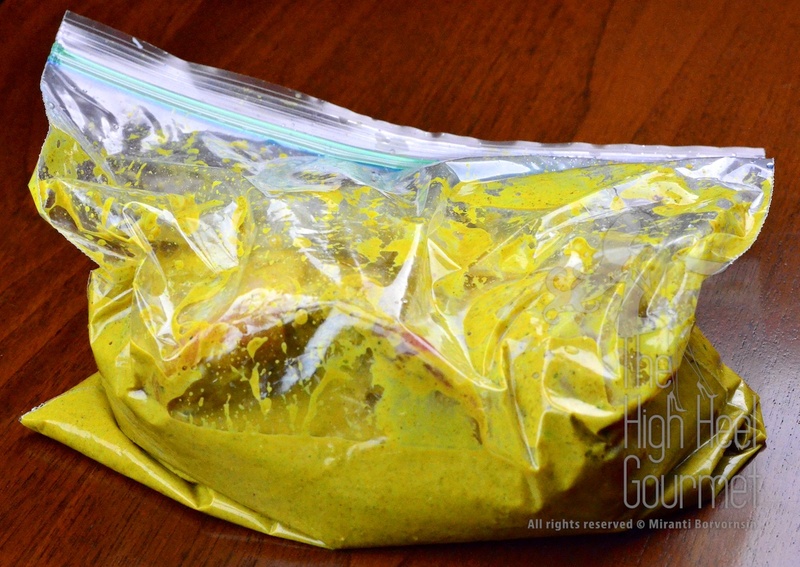 At the very least you should marinate the chicken for 4-6 hours. 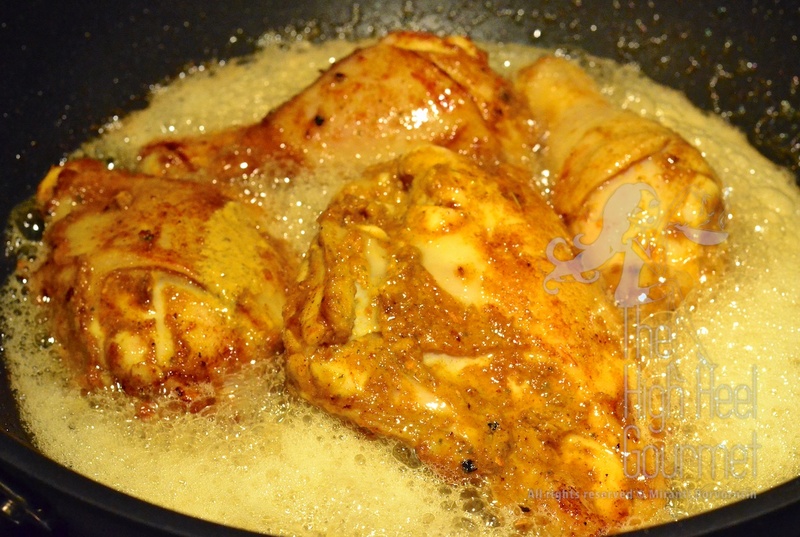 If you don’t marinate the chicken, it won’t run away while you’re cooking, but the flavors from the spices won’t have enough time to penetrate through the chicken, and the result would be the chicken and the rice, which is full of flavor since it’s in its nature to absorb anything, are going to clash. I wouldn’t do that. If I don’t have enough time to marinate the chicken, I would make the rice and eat it with deep fried chicken instead. Now we are ready to talk about the rest of the components: the curry rice and the dipping sauce, or Nam Jim. Let’s start with the charisma of the dish first, the dipping sauce. Thai people have the knack for “flavor adjusting”. The dipping sauce I would make to eat with this dish is full of fresh flavors to contrast with all the spices. There are several versions of the dipping sauce. I already gave you one in the dipping sauce post, Nam Jim Gai or sweet chili sauce. You can use that one, but this is the proper dipping sauce for this dish. 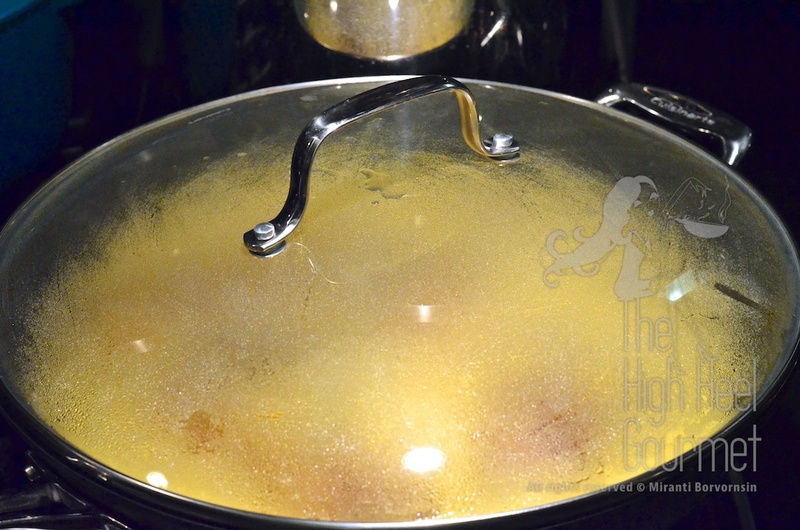 1) Boil vinegar, sugar and salt together and let it rest until cool. 2) Puree the syrup, water or Sprite (yogurt too, if used) and all the vegetables together until they are all fine. Alright, the chicken is marinated, dipping sauce is made. We’re ready for the big day. 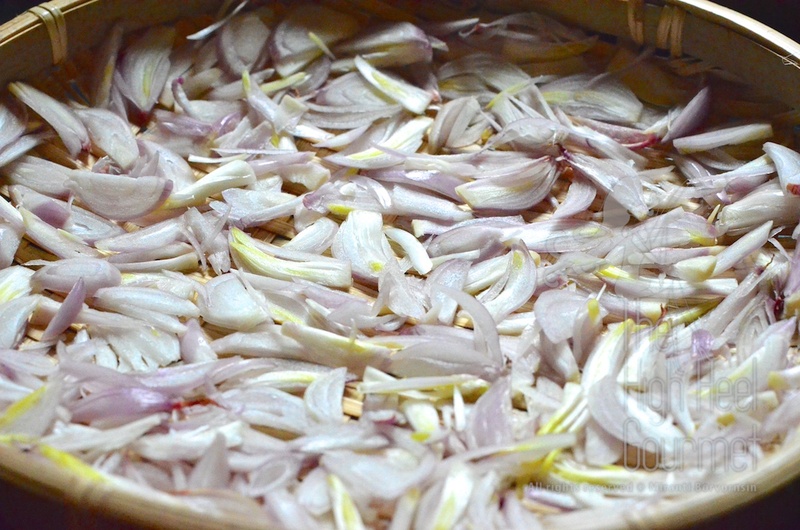 1) Slice shallots lengthwise and spread them out in a tray and let them sit to dry out for a few hours, turning them over a few times. turn off the heat and let them turn golden in the hot oil.Once they’re golden, take them out and lay them on paper towels to drain the oil right away. You can’t multi-task while you fry shallots (called Jiew in Thai). You have to pay full attention or you could have a mishap just like this. Left is the one I fried with full attention. Right: I was taking pictures, trying to do something else while frying them! 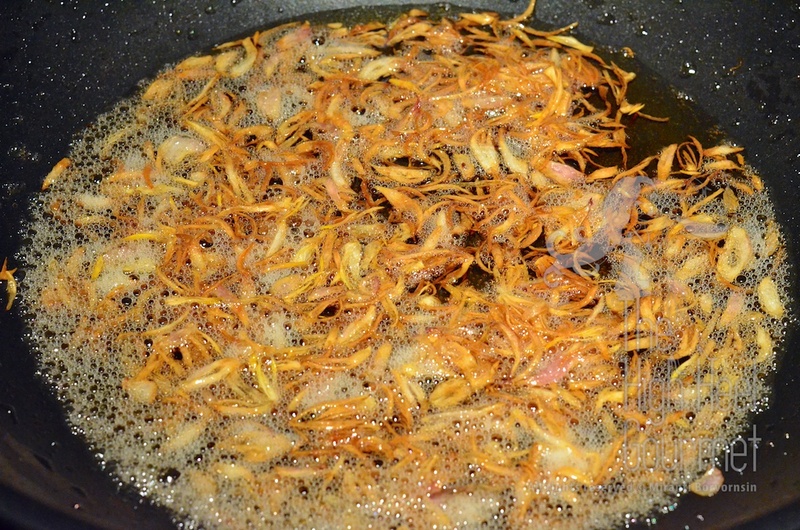 3) Once you take crispy fried shallots out off the oil, keep the oil in the pan. Turn up the heat to medium-high. just to brown the skin. You don’t need to cook them through. Take the chicken out and rest it. 5) If you don’t want to use fresh herbs in the rice, skip to #6. 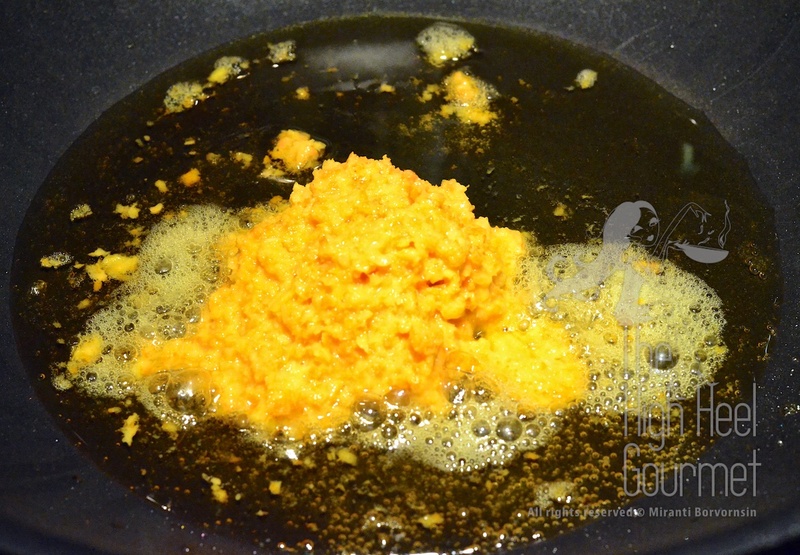 If you decided to add fresh garlic, ginger, turmeric to the rice, mush them in a mortar or chop them in a food processor. and fry the fresh herbs mixture in the oil at medium heat until fragrant. and stir fry it also at medium heat or medium-high until the grains are no longer translucent. 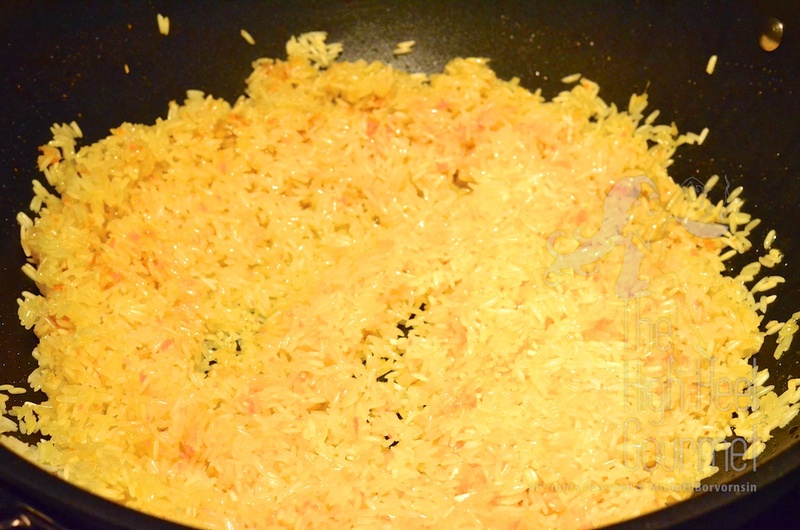 8) Add the leftover yogurt mixture to the rice, lower the heat, and stir fry until mixed well. 9) Add the chicken back to the wok. 10) Add water, coconut milk, salt and star anise, bring them to a boil, lower the heat to medium low and cover the wok. 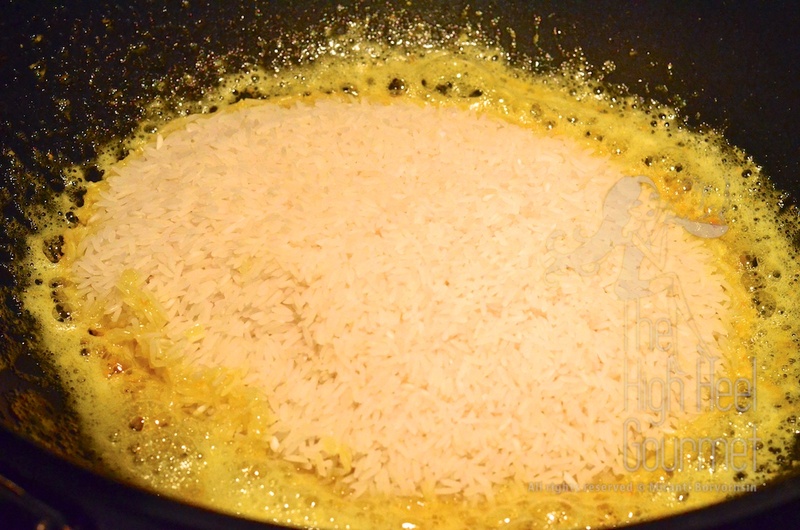 11) Simmer for 15-20 minutes until the rice absorbs all the liquid and the grains are cooked through. While you are waiting you should slice the cucumber. 12) (Optional) Near the end, increase the heat to medium or medium-high. 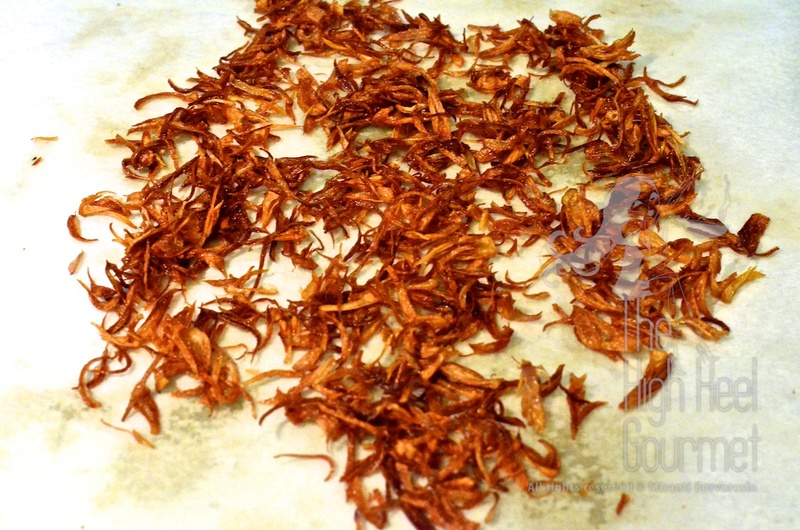 We’re creating “Tardig”, the crispy rice at the bottom, or the Thai would call it “Khao Tung”. Cook for five more minutes or until you get crispy rice at the bottom. You can see by the color turning slightly brown. 13) Turn off the heat. You are ready to serve. Add the crispy fried shallots to the top of the rice and eat with the dipping sauce and cucumber. 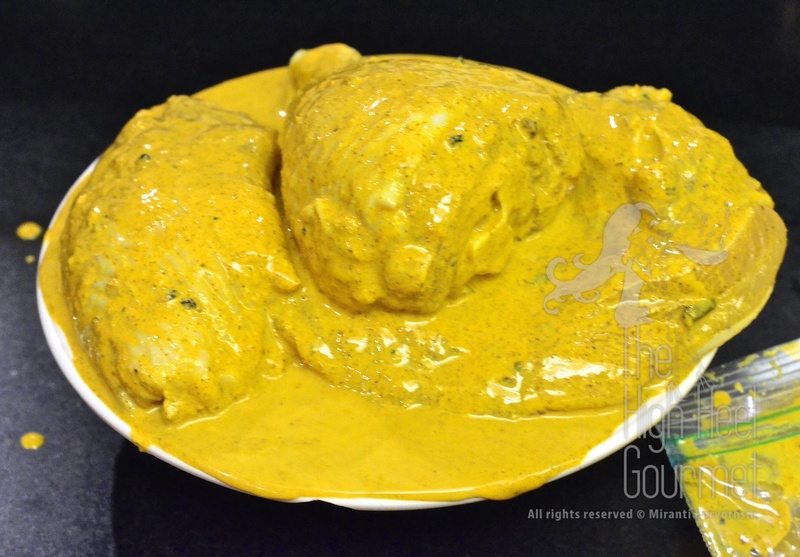 1) Mix one package of Lobo with yogurt and marinate the chicken at least 2 hours, but preferably overnight. 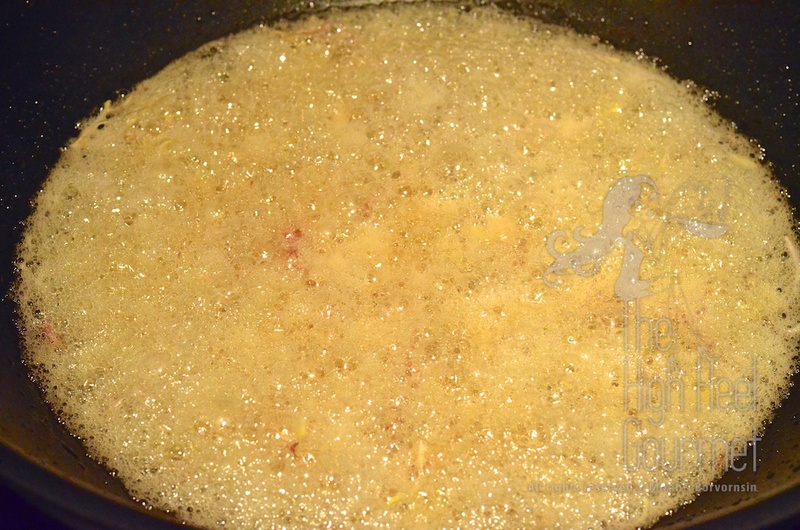 2) Fry shallots in oil, if you use the fresh ones. Please look at the detail #2 and#3 in the method for the rice above. 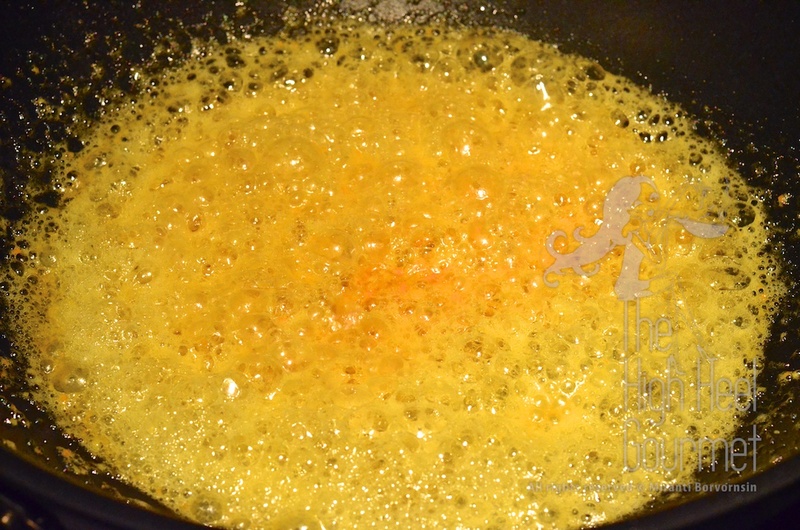 3) Take the shallots out of the oil, increase the heat and fry the chicken, just to brown the skin. 4) Take the chicken out of the oil and stir fry the rice with another half the package of lobo and the rest of the chicken marinade. Stir-fry the rice until the grain no longer translucent. 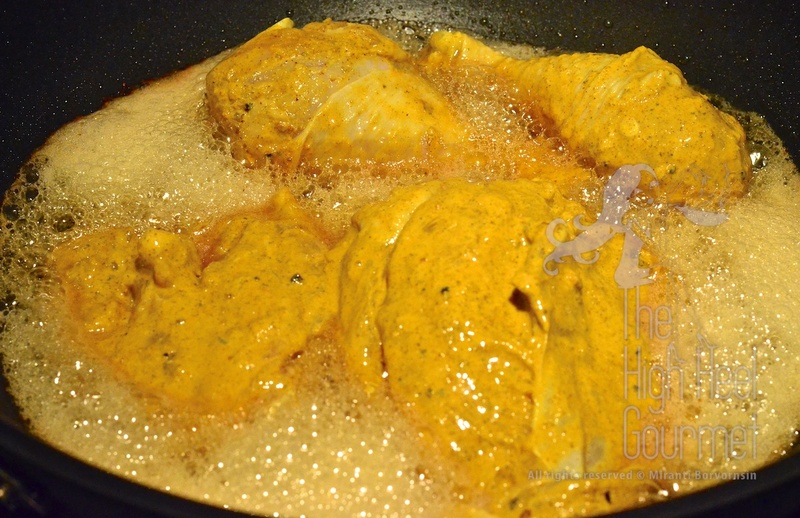 5) Add the chicken back to the pan and add the water and coconut milk, bring them to a boil and reduce the heat to medium low and simmer for another 15-20 minutes until the rice and the chicken are cooked. 6) Served with Nam Jim Gai and A-jad, Thai cucumber salad with shallot. This entry was posted in Bake, Biryani, Chicken, Clicking in the Kitchen, Coconut Milk, Comfort Food, Curry, Dairy, Deep fried, Dinner, Festive, Gluten Free, Healthy Food, Lunch, Nam Jim, Pan Fry, Rice, Sauce, Thai, Thai Dipping Sauce and tagged Asian, Chicken, Coconut milk, Cooking, Curry, deep fried, Easy recipes, Food, gluten free, Recipe, Rice, Sauce, Stir fry, Thai food. Bookmark the permalink. It’s really amazing. I don’t know it’s a little bit complicated to cook it. I want to cook it for my Thai Muslim’s friends in Yala. Other than chicken, what other types of meat are traditional variations for this dish? I’ve heard people mention beef, goat, and my mom said there’s even a fish version near her, though I’m curious how common those are relative to chicken and one another. Those are south Asian variation. In Thailand you won’t find anything else beyond chicken and beef but in Pakistan Indian (or more that I haven’t known about) have all those varieties your mom mentioned. You mention mint in the description of the dipping sauce but don’t show it in the ingredient list. Is it necessary? It’s the first ingredient listed under the dipping sauce recipe. It’s is important but people who do not like mint can omit it. Mint has medicinal benefit, help reduce gas in the stomach. I see what happened. I searched “mint” on the page and found only it’s mention here “Even though this looks green, it’s not the same as the “Nam Jim Seafood”. It has mint leaves and ginger, which is different than in the seafood dipping sauce.” In the recipe itself, it’s listed as spearmint. Sorry! I’m afraid that people will use the wrong mint. The peppermint is a disastrous substitute 😱😂. Good to know and glad I got mint instead. It’s all that’s available here in Thailand. Yes, Thailand don’t normally have peppermint but among the Islamic community sometime you can find them. 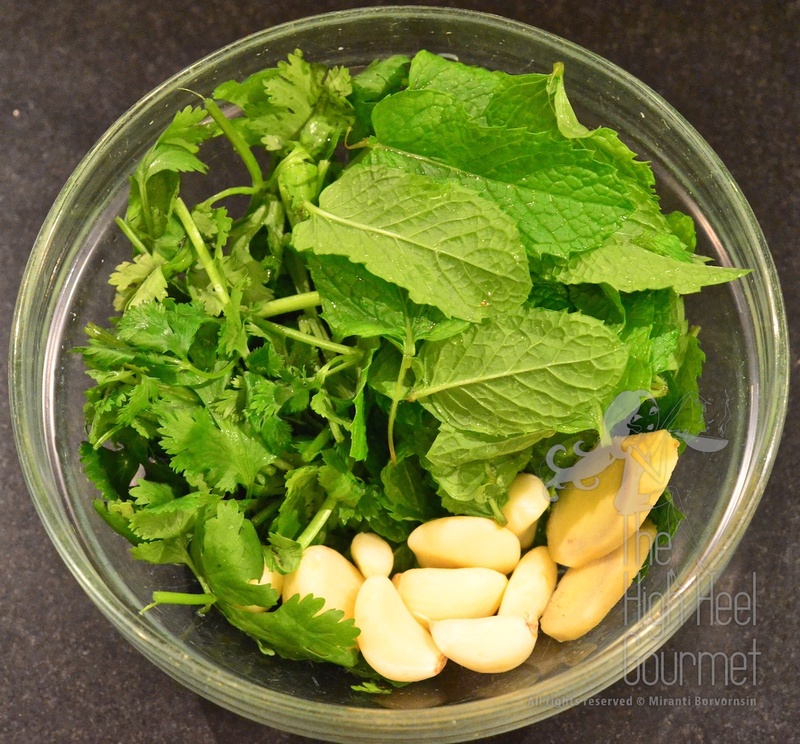 When Thai recipes refer to mint, they always refer to spearmint. Larb is also using spearmint. This looks delicious. Do you have a recipe for the eggplant dish that sometimes comes with this? I have no idea. I think the eggplant dish didn’t make it all the way to Thailand. But if you can show me the picture, I might be able to figure it out. 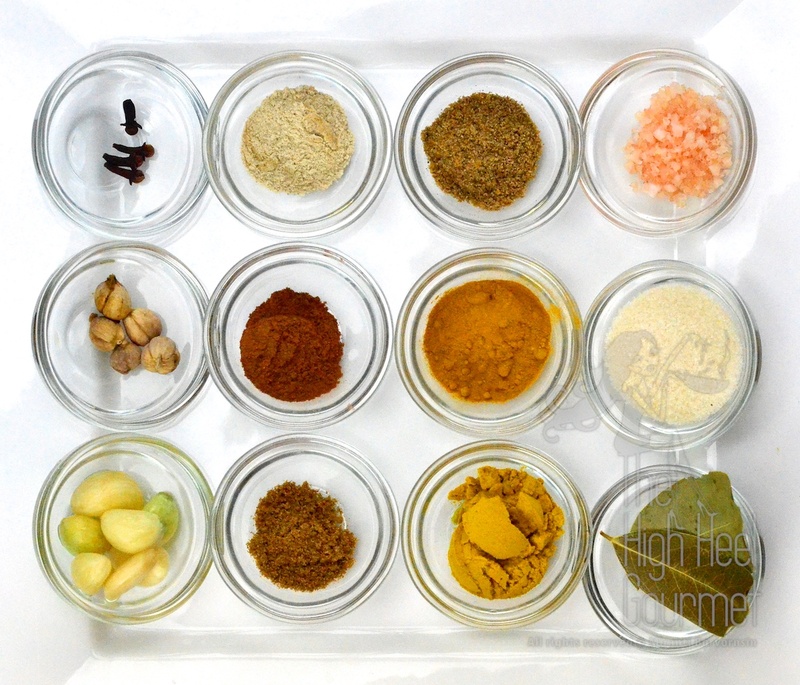 Can you use regular grocery store curry powder or is Malaysian curry powder preferred? Regular grocery store curry powder is ok. Most curry powder are quite alright. I just like to mix my own but no need, it makes just slightly different. 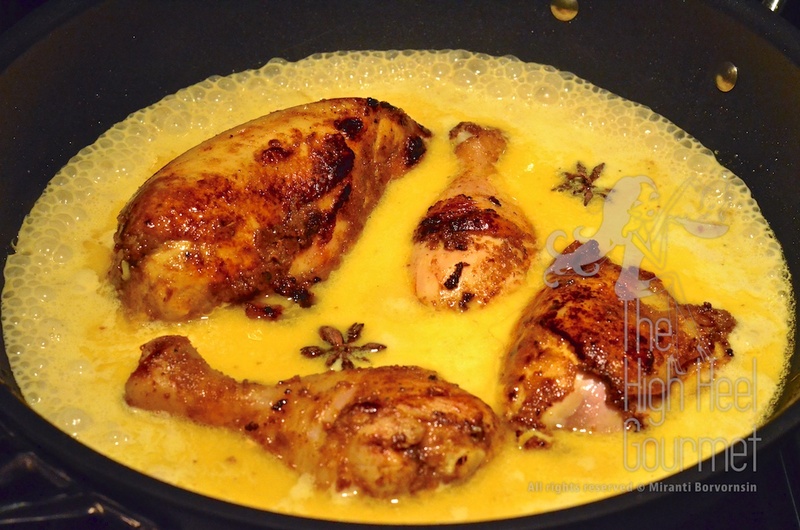 Thank you so much for posting this heavenly recipe with easy detailed instructions. My wife was so homesick until she tried this. She has since commented that all her Thai coworkers now want your recipe. Keep up the great work. I can’t wait to try some of your other incredible recipes. Great I’m glad 🙂 Let me know if she needs any other Thai recipes. I wish I can add more recipe in Thai language on my blog but I think I will not do it for now since I already had incidents that my content including pictures had already been copied and used by my the Thais without my permission. I totally wouldn’t mind about copying my recipes but the pictures are strictly not allowed but quite often my friends in Thailand had found my pictures popped up in the restaurants menus! That looks amazing. I gotta try ma,ing this soon. Oh, Thanx so much for the recipe! o, this looks so yummy!! It is really hard to resist. You can come up with your own recipe too. This is just the original idea. Some time I make it with less spice some time with more (such as saffron, star anise and etc.). I’m sure yours would come out very delicious as well. Coriander is one of my favorite spices and these recipes look divine! You can add more coriander seeds if you prefer. This is just and idea for the recipe. I normally don’t measure anything. I just sniff the end result and start the next “throwing things together” phase after that. • A recipe developer and menu developer. • A custom confectionary designer for special events. • A Thai cooking instructor. Enter your email address to follow The High Heel Gourmet blog and receive notifications of new posts, and new recipes by email. Click on any images below or search "thehighheelgourmet" and hit follow. Connect with me on Facebook. You can request recipes there.